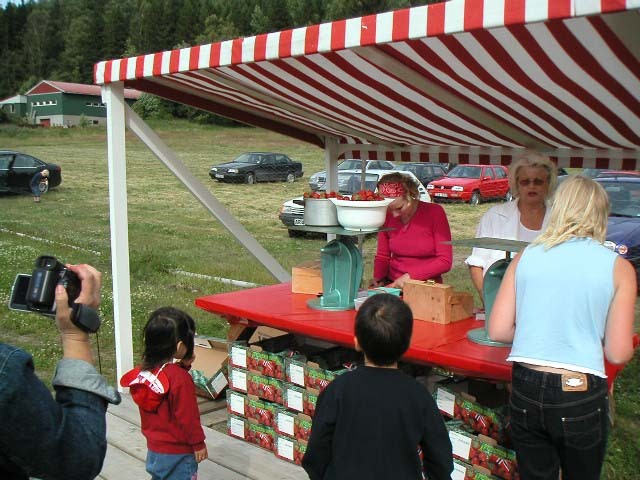 In the southern part of Norway, now is the time to harvest strawberry. 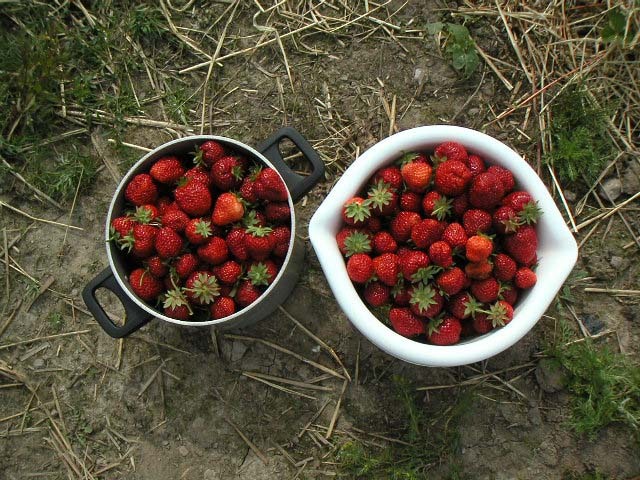 I heard from local people that there is a place near hear, where we can pick strawberry by ourselves, so I visited there. 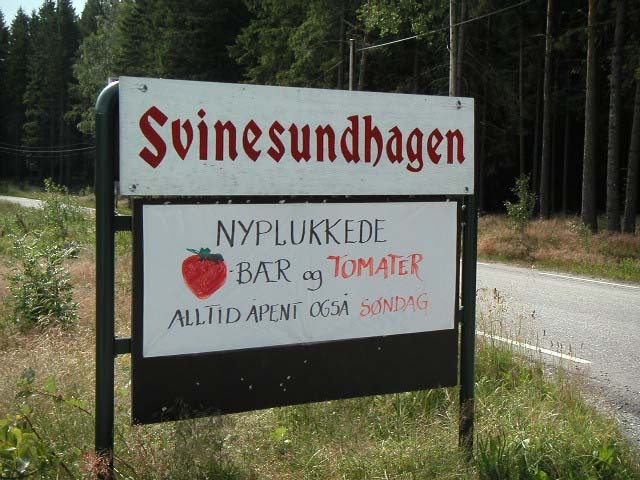 I drove south along with main road E6, and turned right at the signboard, "Sponvika" close to the border between Norway and Sweden. 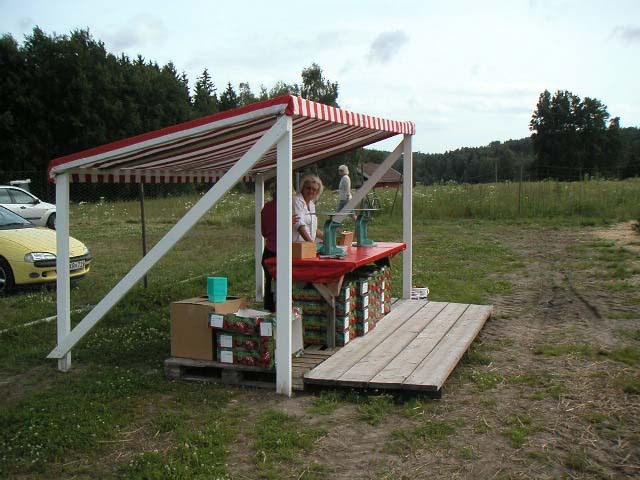 After a few minutes drive, the signboard of the strawberry farm appeared. It took about 15 minutes by car. It is written in Norwegian, so I can't understand it at all, but I can understand the illustration. I turned left here, and went along the dirt road for a while. Oh! A lot of people already came here! 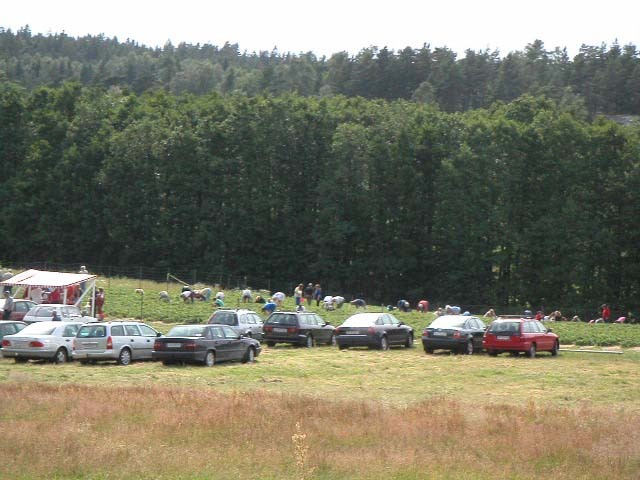 All people concentrated to pick up strawberries. I expected that there would be a lot of families with children, but in reality there were many adults. 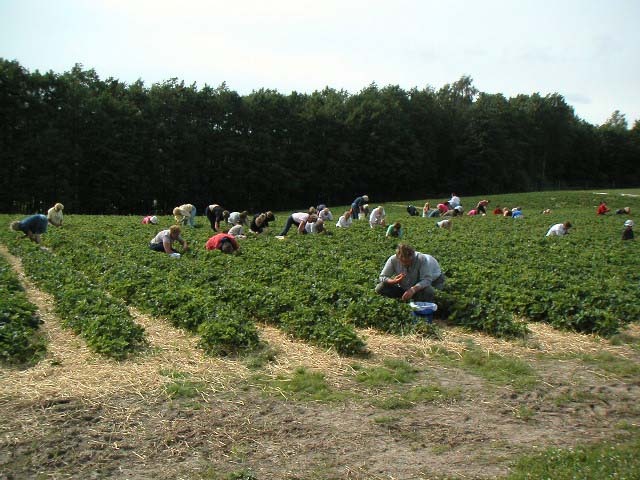 It seems that strawberry picking here is not a recreation for children but the method to get strawberry at a low price. First, I went to a reception desk. I didn't need to pay the entrance fee here, but the weight of the containers which I brought was measured. 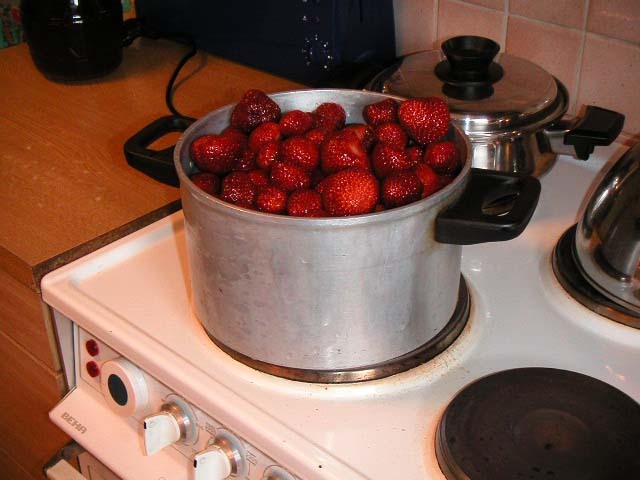 After picking up strawberry, the weight will be measured again, and the fare corresponding to the difference (actual weight of strawberry) will be paid. 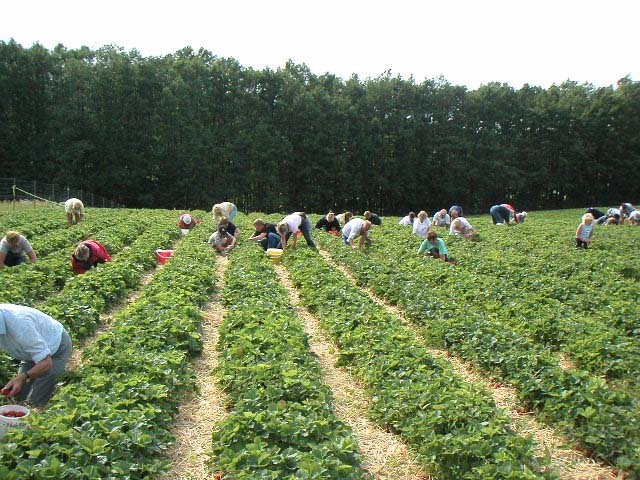 The people who pick up strawberry are assigned to each area. All people picked as well as they could. It's funny. 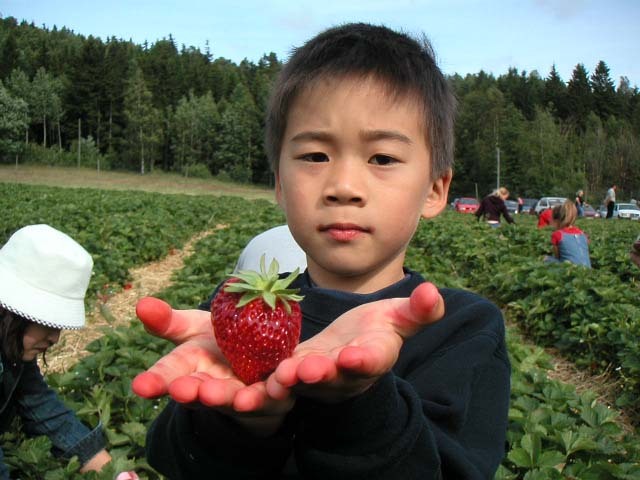 The strawberry was like this. It is larger and redder than that of Japan. 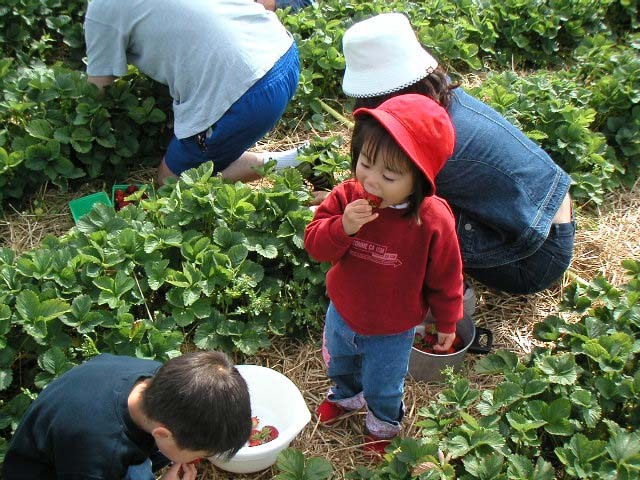 There was a child who ate strawberry (laugh). Last, the weight was measured again. The fare was 121 Kr. 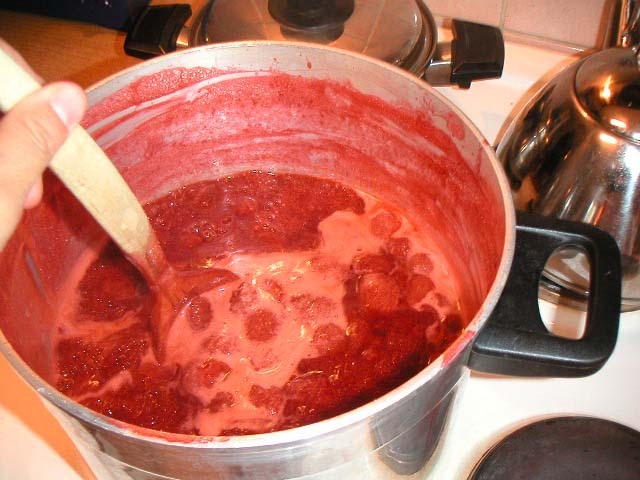 The strawberries are brought home and are cooked strawberry jam. It looks tasty.... By the way,　DD loves strawberry jam.